The number of lenses available for mirrorless pro compact snappers is dwarfed by those available for Canon SLRs. 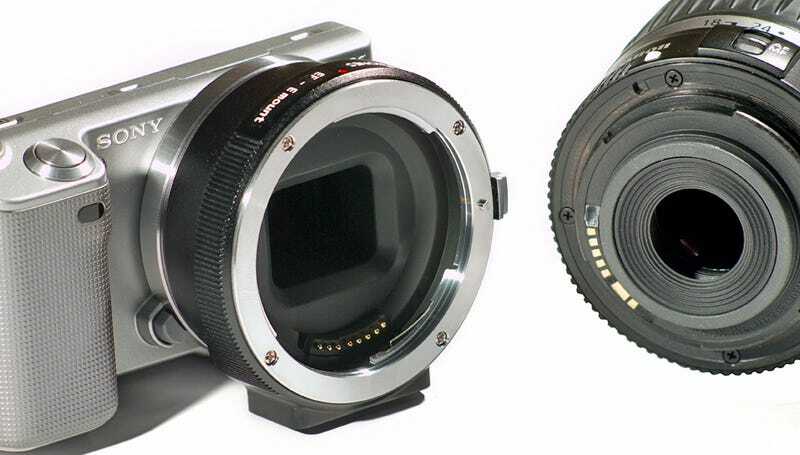 But there's no reason to feel inferior now that Conurus' Canon EF lens adapter for Sony's NEX cameras is finally available. As long as you're not completely reliant on autofocus, which is rendered unusable with this adapter, for just $400 you can use any Canon EOS lens on your Sony NEX-series body.